Are you sick and tired of having to wake up every morning and head off to that boring 9-5 job? Are constantly stressed about having to pay bills? What I'm about to share with you will change your life forever. But first let me tell you a little about myself. My name is Rick Roberts and I used to be just like you. I worked for 18 years as a blue collar factory worker in the printing industry. I used to be a "slave to the man" and dreadfully miserable. It hendered my life, my well being plus it caused all kinds of stress between my wife and I because we were always short on money. I was working so much to make ends meet and just barely get by that I never had the time or the money to enjoy my life or my family. It was pure hell on earth. In 2007 all that changed, I discovered something I never thought was possible. Sure I had, just as you have, heard the stories of riches on the Internet and of people living the "Internet lifestyle", but I didn't think that "a plain ol' country boy from east Tennessee" like me could actually do it. What I didn't realize was just how easy and achievable it really is if you were doing the right things at the right time. So now here on this page I want to share with you the truth that changed the course of my life and countless others. This is the same truth that has provided myself and others more than enough money to live a comfortable lifestyle and have the freedom to do what we want and when we want, the freedom to start spending more time with your family and start enjoying life again. Are you listening? It's true. I do it and so can you. After all, that is why you are here isn't it? One of the biggest challenges we face when we want to start our online business is actually finding out what really works and having someone that not only talks the talk but also walks the walk to show us a method and plan of action. Well you can stop all the seeking & searching. Today I'm going to bring you into my world. Today you begin a new life. Today you get the chance to join my private circle of business success. 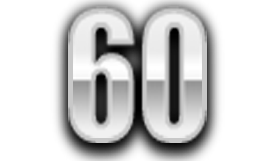 The JSYOB 60 DAYS membership is a private community where as a member myself and my team will help you build your business and to achieve success online. For the first 60 days of your membership you will undergo a proven success training that will make sure you are fully trained and starting out on the right path to success. While I say it is intensive training all the tasks to perform are given to you in bite-sized chunks with plenty of time between tasks to make sure you have had ample time to complete them. These live webcasts will be where myself and my success partners provide invaluable training to help you grow your business and start seeing profits as quickly as possible. In addition to the trainings each live webcast will also double as a question and answer session where you will be able to ask any questions or get help with any part of your business that might be keeping you from progressing. You will be able to meet, network and communicate with other like minded business owners to mastermind, share information, ask questions and hopefully form partner relationships so that you and others will always have a successful businesses. In addition the JSYOB team of success partners will be there to inspire you daily and give any assitance that you may need. Each month we'll take a volunteer from the member base to be in the hotseat chair and tell everyone about their business and strategy. During these webcasts myself, the JSYOB success partners and the other members will drill down into your business as address any issues you are facing and look for any improvements that you could make to help them grow their business to ultimate success. As our member base grows we will seek some of the Internet's most successful entrepreneurs to come and do special live trainings and Q&A sessions. 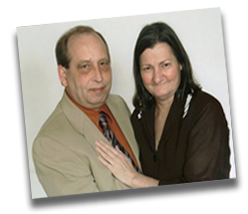 During these webcasts not only will you get a private and specialized traing but also be able to pick the brain of some the truly successful online business owners and product creators. 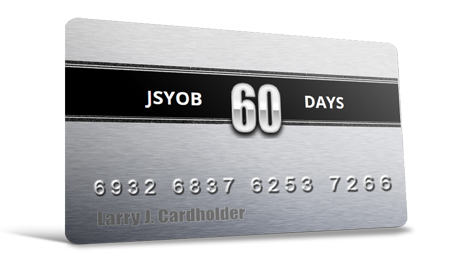 Here is where your membership in JSYOB 60 Days will do the most for you. Unlike most online business training memberships we're not going to just give you the study material and then turn you loose and hope that you'll make it work for you. Instead once a month you will be able to schedule a real 1-on-1 call with us and we'll discuss your business, help you develope a strategy plan and even provide accountability from the previous calls to make sure you're staying on track and progressing. But Wait I Haven't Even Told You The Best Part Yet!! As a bonus for joining today you're going to get access to my List Building Masterclass training where you will be guaranteed to add 1000 list subscribers within 30 days. This is one of my training courses reserved for my private group coaching students but since we all know how important it is to build a list in your online business I'm going to give you access to the course as well. That's right, you may come into this membership with no list but you won't leave without one. All you have to do is follow the step-by-step training and you are guaranteed to build a list. Now, how much do you think a membership like this would cost? I want to help everyone that joins JSYOB 60 Days to be successful, achieve their dreams and enjoy the freedoms that you deserve. 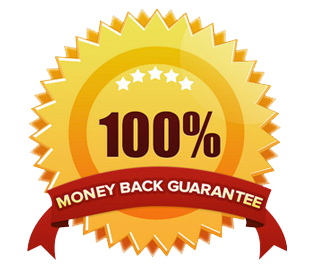 At the same time my success partners and I also need to be compensated for our commitment to you and the time & effort we put into working with you to build your successful business. But we also realize that most people that join will be either be brand new to building a business online or trying to recover from failed past attempts. Also we know that building a business isn't free and no matter what anyone else tells you there are must have products and services that are required. So after much discussion we've decided to make this extremely affordable and within reach of everyone that is serious about turning their life around and start enjoying the massive benefits of being a success online. And lets not forget the access to my List Building Masterclass which sells for $97 and then factor in the 1000 list subscribers and this becomes another priceless value bonus! So that comes to over $500 of real world cost (not counting the two bonus webcasts that you can't put a price tag on)! In keeping with our decision to keep this affordable we've decided to offer not only a discount on the price what we should be selling access for but also an even bigger discount if you take a multi-month subscription. One Thing We Want To Strive For Is Your Ultimate Satisfaction With Your Purchase. If Within The First 30 Days You Aren't Happy For ANY Reason Just Open A Support Ticket & Let Us Know. We Won't Hold You Hostage And Will Process Your Refund ASAP. If you're like most people you probably spent more than $5 on lunch today, you'll spend more than $12 on dinner tonight and if you truly are like most new online entrepreneurs you probably spent more than $37 on programs, products, biz-opps, MLM & network marketing schemes and software already that hasn't benefited you one least bit. So What Do You Have To Lose? A Cup of Starbucks Or Maybe A Bagel? Make the smart choice and choose one of the options above and lets get started building your online business now.